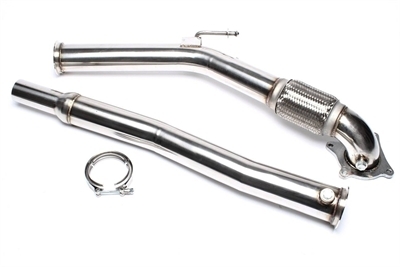 TA Technix stainless steel Downpipe VAG Engine 3" Downpipe, 2-pieces Set with Adapter to the serial Turbocharger, Lamda port connect. Modeltyp with ribbon clip Without technical certificate !! !